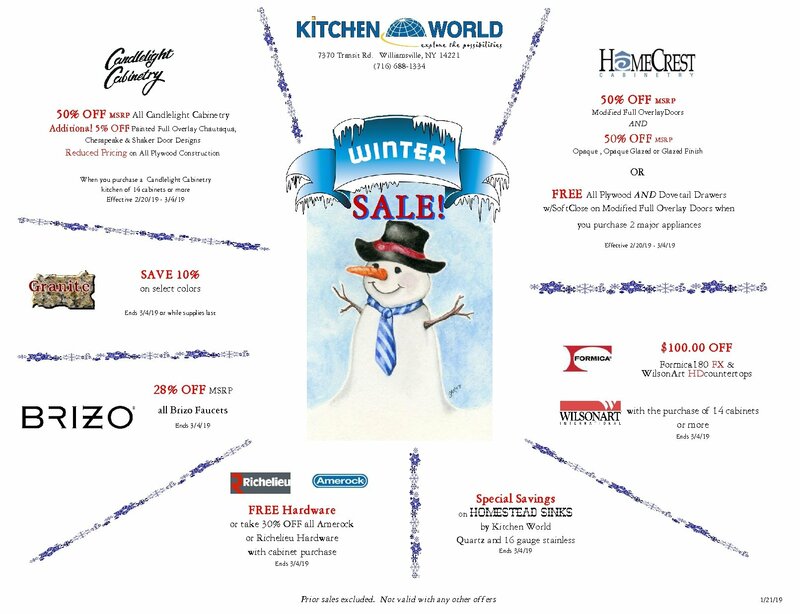 Kitchen World offers a great diversity of proven appliance brands in order to furnish just what you need. Make an appointment with one of our kitchen specialists to learn more about features and pricing as well as our delivery and installation service. 1. Both brands are headquartered in the USA and they employ the most USA workers by far. 2. Whirlpool and Frigidaire appliances are as reliable as any brand in the market. In a few cases, they are significantly more reliable. 3. Several service centers specialize in repairing Whirlpool and Frigidaire appliances so parts are usually in stock and repairs are less costly. This is arguably the best value in large kitchen appliances among all. With its headquarters in Sweden, Electrolux has grown to be the largest appliance corporation in the world. Their wall ovens come standard with “dual convection fans” and “multi-stage” cooking. The appliances perform very well; they did have some trouble with the icemaker on their French door refrigerator and the control panels on their dishwashers between 2013-2014, but those issues have since been rectified. These appliances are styled to look great in either contemporary or traditional kitchens and the durability and luster of the high-grade stainless steel they use is beyond compare in this price range. The dishwashers are made in Italy, while the cooking products are all made in the USA! The refrigerators are made in Mexico. Electrolux develops their products based on consumer insight and in collaboration with professional users. Many Michelin starred restaurants in Europe use Electrolux appliances. KitchenAid has been considered the “Gold Standard” for value and durability for over forty years. It is one of the most trusted brands in America. KitchenAid employs more U.S. workers than any other upscale appliance manufacturer in the world. KitchenAid appliances have a traditional look and are therefore usually ordered for kitchens with a more “traditional” theme. Come and see the wide variety of appliances available to achieve your look and create delicious meals. DCS is a high performance appliance line engineered for kitchen enthusiasts to enjoy. DCS has pioneered professional grade appliances for the home since the 1980’s. DCS outperforms the other high-end appliance manufacturers in almost every measurable detail and specification with above average reliability. If cooking and entertaining is your passion, DCS is the appropriate equipment for your home. For this company’s engineering team, “thinking outside the box” is a way of life. Twenty years ago they introduced the “Dish Drawer” dishwasher and revolutionized the appliance industry. As with all revolutionary products, the first generation of Dish Drawers had some reliability issues that have long since been rectified. The reliability of the Fisher Paykel line is now rated above average; local repair shops confirm this as well. Fisher Paykel offers a full array of uniquely and thoughtfully crafted home appliances with distinct and sophisticated styling. Over the last 10 years, Bosch has built an impressive reputation for engineering a reliable and durable kitchen appliance. Their dishwashers have received 5-Star reviews for severeal years in a row due to the excellent wash results and an extremely low decible rating. Headquartered in Germany, Bosch offers a somewhat spartan yet sophisticated look that enhances a contemporary or transitional style kitchen. We are happy to report that although the Bosch top-of-the-line dishwasher and cooking products are still made in Germany, most of the models sold in America are built in America. They employ over 33,000 Americans! However, you should be aware that some customers have complained that they find the plus (+) and minus (-) wall oven timer buttons hard to use. Please make an appointment for one of our kitchen specialists to walk you through a feature by feature comparison in our 14,000 sq ft showroom.